Chinook salmon populations have declined all along the West Coast. Now the SRKW population is critically endangered. Just 75 of them remain. The majestic beauty and natural resources of our coastal region inspire awe and delight. Wild salmon are prized and summer breezes carry shouts of glee when we catch glimpses of orcas leaping into our view and hearts. Despite the pleasures of living along the Salish Sea, daily news can be disheartening. Ocean warming and acidification, drugs in shellfish, shoreline alterations, energy demands and more oil tankers all threaten salmon and orcas and the complex ecosystem that's also our home. The sense of timelessness and permanence provided by dense forests, clean water and abundant wildlife sometimes seems to be slipping away. To restore what we love will take bold leadership and courageous and collective action. John Lombard, the author of "Saving Puget Sound: A Conservation Strategy for the 21st Century," wrote in Sound Consumer (August 2007) that a "comprehensive, long-term approach must consider the entire region as an ecosystem -- a connected landscape. "To save the orcas," he said, "we must save the salmon. To save the salmon, we must save our river systems. To do that, we must save our forest ecosystems, work with agriculture to conserve farmland while restoring key floodplains, and change how we develop in urban, suburban and rural areas." The passion that motivates humans to take on such difficult challenges was affirmed by the first person to walk on the moon, Neil Armstrong. "It's by the nature of our deep inner soul," Armstrong said, "we're required to do these things -- just as salmon swim upstream." Orcas, also known as killer whales, are found around the world and eat fish, sharks, seals and sea lions. Ours are different. They eat only salmon. They are called Southern Resident Killer Whales (SRKW) and live in tight-knit, matrilineal family groups, identified as J, K and L pods. They use clicks, whistles and calls to navigate and socialize. This echolocation is how they search for the increasingly elusive Chinook salmon (also called King salmon) that comprise 85 percent of their diet. Recent reports confirm that females are not getting enough food. Only one-third are reproducing and a genetic analysis found that since 1990, half of the babies were fathered by only two males. Half the babies born in the past few years have not survived and there are concerns that inbreeding is contributing to the orcas' smaller size and other problems. Chinooks have declined all along the West Coast. Now the SRKW population is critically endangered. Just 75 of them remain. Anadromous salmon, including Chinook, hatch from eggs in fresh water and migrate to sea before returning to the rivers of their birth to produce the next generation. In this grand cycle of nature, minerals and marine nutrients are delivered to fields and forests that make our coastal region green and cool. Even after spawning, their bodies provide sustenance to furry and winged animals, birds and insects. Described as "nutrient pumps," salmon have a place in the web of life that cannot be replicated. The Snake and Columbia rivers once produced the most Chinook salmon in the world and Chinook that SRKWs need still originate there. Now, more than 400 dams on the Columbia-Snake rivers and tributaries have brought affordable power, irrigation for food production, flood control, and a seaport 465 miles from the ocean in Lewiston, Idaho, for transport of grains and products to global markets. Billions of dollars and multiple court rulings have tried to protect salmon populations in the Columbia-Snake rivers, but their populations have declined 90 percent. Solutions are being sought to continue service to food producers and industries in the Columbia River basin, while also assisting nature's potential to restore abundant fish populations. Removing or breaching one to four dams on the lower Snake River would bring the most benefits, including access to thousands of miles of high-quality spawning regions. Emerging cryptocurrency (such as bitcoin) operations, meanwhile, are ratcheting up demands on hydropower generated by regional dams. Joseph Bogaard, executive director of Save Our Wild Salmon, says, "Fortunately, with the dramatic expansion of alternative, clean and affordable energy options, our reliance on dams is less with each passing year. And opportunities to restore resilient rivers and wild salmon are increasing." A recent study by the Northwest Power and Conservation Council reports two-and-a-half times as much renewable solar and wind energy can be produced as from these four dams. But this spring, House Resolution 3144, introduced by U.S. Rep. Cathy McMorris Rodgers (R-WA) -- dubbed the "Salmon Extinction Act" -- was passed by the U.S. House. It seeks to overturn federal court decisions that protect endangered salmon and forbids even studying removal of the lower Snake River dams. "We're driving salmon and, ultimately, orca whales, to extinction," says Northwest Energy Coalition spokesman, Sean O'Leary. "Dams are a key part of the trend that we're trying to reverse." Culverts under roads in Western Washington also create obstacles for salmon. Many are too narrow, too small, or angled too steeply for salmon passage. Repair and replacement costs are estimated at $2-2.4 billion. In June the U.S. Supreme Court left standing a Ninth Circuit Court's decision that culverts blocking salmon from more than 1,000 miles of suitable habitat violate treaties that ensure treaty tribes will have fish to catch. The court also ruled Washington state must fix barrier culverts and pay 100 percent of the cost, even though they were designed to federal standards. Washington's Commissioner of Public Lands, Hilary Franz, agrees. "Let's roll up our sleeves," she said, "and get to work saving our Pacific salmon for future generations. It's time to do the right thing." Wildlife and marine biologists are assessing another significant cause of declining salmon -- exploding populations of predators. Since 1972 the Marine Mammal Act has protected seals and sea lions (pinnipeds) from being captured, hunted or killed. A recent study published in Nature found that consumption of salmon by orcas, sea lions and seals "could be masking the success of coastwide salmon recovery efforts." The study indicates that pinnipeds -- congregating in large numbers where salmon migrate to sea and back -- are eating so many fish that they're contributing to the decline of critically endangered orcas. Beyond physical obstacles, such as dams, culverts and pinniped populations, man-made pollutants also hurt salmon and orcas. These include drugs, industrial chemicals, and toxic runoff from vehicles. Pesticides from residential lawns and agriculture interfere with the ability of salmon to navigate. Small "forage fish" -- herring, smelt and sand lances -- are essential food for Chinook and other sea life. Their populations are declining as the eel grass and shoreline vegetation that provides them essential habitat is being eliminated. Many dedicated citizens and conservationists are working to remove bulkheads, repair septic and stormwater systems, and restore habitat. Attention now is focusing on the impacts of converting miles of tidelands to intensive farming of oysters and large clams called geoducks. A recent lawsuit against the Washington Department of Fish & Wildlife (WDFW) requests consistent application of state standards that protect juvenile fish and their tideland habitat. "A private citizen installing a small dock needs to get a Hydraulic Project Approval permit," says Laura Hendricks, director of the Coalition to Protect Puget Sound Habitat. "But a commercial shellfish facility would not need an HPA permit before constructing a facility that disrupts miles of pristine shoreline, destroys natural vegetation and aquatic life, and inserts tons of harmful plastic tubing, netting and rebar into the tidelands." Most geoducks are exported to Asia. The plastic and debris left behind breaks down and becomes part of Puget Sound's marine food chain. Washington's remaining salmon farms are being phased out following a massive spill last August of nonnative, invasive Atlantic salmon into public waters. Regulatory oversight has improved. Our neighbor to the north, British Columbia, also allows floating feedlots for nonnative, Atlantic salmon. Biologist Alexandra Morton found a virulent virus, Piscine orthoreovirus (PRV), in B.C. farmed salmon. This PRV virus, Morton says, causes salmon blood cells "to pop like water balloons." She worries that "salmon are vanishing and, as a consequence, extinction is underway for the Southern Resident orca." Morton's research over the decades also determined that underwater acoustic devices to drive away seals also caused orcas to flee. Large vessels, fast boats and other marine traffic interfere with the ability of orcas to search for food, navigate and socialize. According to the documentary, "Plane Truths," decibel levels of 140 can injure and even cause death to humans and animals. Yet Navy underwater sonar can reach 235 decibels, according to wildlife biologist Karen Sullivan. The Canadian government's purchase of the Kinder Morgan pipeline is projected to increase sevenfold the number of tankers plying our waters, increasing underwater noise and the risk of oil spills. The solution, as John Lombard advised, is a comprehensive, long-term approach that considers the entire region as an ecosystem -- a connected landscape. 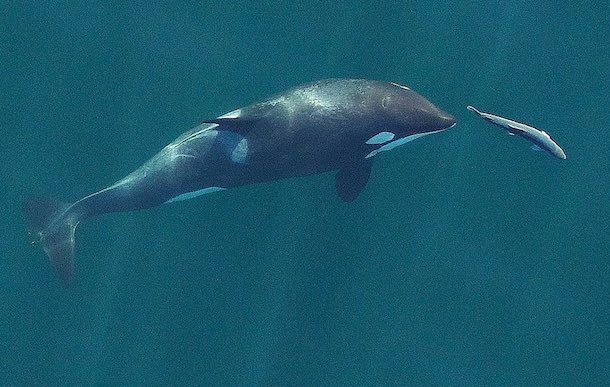 Our unique salmon-eating orcas need a collective commitment to their survival. There is progress. Washington state ferries are changing speed to decrease noise. Fishing has been curtailed. The WDFW is encouraging boaters to stay one-quarter mile offshore for most of San Juan island's west side. Gov. Inslee's SRKW Task Force to identify and support an action plan for the recovery of SRKWs is addressing the availability of salmon for orcas, legacy and ongoing toxic contaminants, and noise and vessel traffic. A draft report is due October 1. The final is due November 1. Anne Mosness fished for salmon in Bristol Bay and Copper River, Alaska. She received a W.K. Kellogg Food and Community/Leader Alliance fellowship, King Neptune award, and continues to educate about fish and marine issues.